Joint with Kevin M. Murphy. National Bureau of Economic Research, Cambridge, MA. NBER Working Paper 22994, December 2016. Revista de Economía Industrial, Special Issue, 2016, forthcoming. Joint with Julio González-Díaz. Journal of Public Economics, vol. 139, July 2016, 40-52.
Review of Economics and Statistics, 96(3), July 2014, pp. 524-537.
International Journal of Industrial Organization 34, May 2014, pp.85-90. Joint with Sven Bestman, Antonio Olivero, Jose Florensa, and Jose Apesteguia. In Beautiful Game Theory, Chapter 4, pp. 58-67. Princeton University Press, 2014. Joint with Luis Garicano. In Beautiful Game Theory, Chapter 8, pp. 124-150. Princeton University Press, 2014. Economic Inquiry, vol. 50(3), July 2012, pp. 848-849. 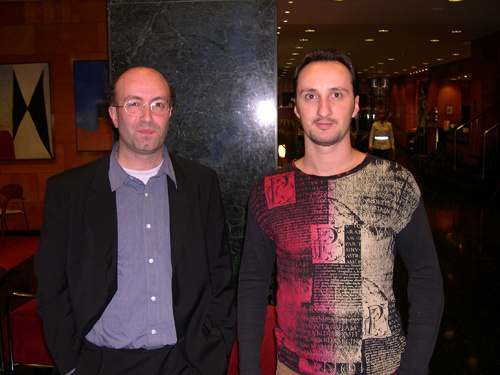 Joint with Andrea Prat, January 2012. Discussion Paper, 8040. Centre for Economic Policy Research, London, UK. Joint with Alonso Pérez-Kakabadse, December 2011. American Economic Review, vol. 100(5), December 2010, pp. 2548-2564. American Economic Review, vol. 99(4), September 2009, pp. 1619-1635. 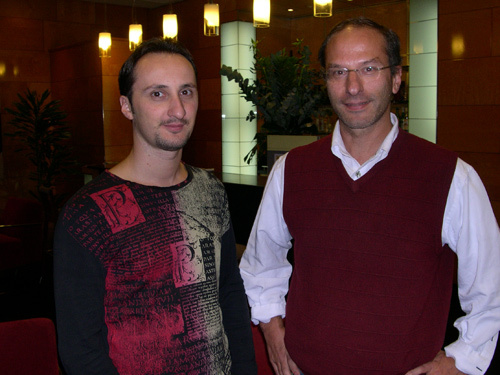 Pictures with Judit Polgar ( 1, 2) and Veselin Topalov ( 1, 2), #1 chess players in the World. Economics Letters, vol. 91(2), May 2006, pp. 250-259.
Review of Economics and Statistics, vol. 87(2), May 2005, pp. 208-216. Joint with Tano J. Santos. Journal of Public Economics, vol. 88(3-4), March 2004, pp. 601-627. Statistical Methods and Applications, vol. 13(2), 2004, pp. 241-258. American Economic Review, vol. 93(3), June 2003, pp. 948-964.
Review of Economic Studies, vol. 70(2), April 2003, pp. 395-415. History of Political Economy, vol. 35(2), Summer 2003, pp. 241-268. Journal of Financial Econometrics, vol. 1(2), Summer 2003, pp. 272-289. Experimental Economics, vol. 6(3), November 2003, pp. 235-251. Journal of International Economics, vol. 54(2), August 2001, pp. 309-331. Journal of Risk and Uncertainty, vol. 8, October 1999, pp. 249-269.
edited by I. Brocas and J. Carrillo, Oxford University Press, 2004, pp. 67-80. Joint with Roberto Serrano and Oscar Volij. Book review of “Transatlantic Sport: The Comparative Economics of North American and European Sports” edited by Carlos P. Barros, Muradali Ibrahim, and Stefan Szymanski, in Economic Journal, February 2004, F168-F170. Book review of “Determinants of Economic Growth,” by Robert J. Barro, Journal of International Economics 44, April 1998, pp. 365-373. Book review of “Not Just for the Money: An Economic Theory of Personal Motivation,” by Bruno Frey in Journal of Economic Literature, June 1998, pp. 941-942.